Investors are focused on where they believe optimal net-present-value of future cash flows are most likely to originate. Wall Street values Tesla higher than any other U.S. car manufacturer. What explains this 1,000 to 1 discrepancy in valuation? Existing companies are executing a known business model and have built processes, procedures, and key performance indicators to measure progress to a known set of goals. But when technology disruption happens (electric drive trains, autonomous, etc.) changing a business model is extremely difficult. Autonomy and connectivity are not core competencies of existing car companies. These two types of transportation were different. And one is now only found in museums. Companies with business models built around internal combustion engines disrupted those built around horses. That’s the likely outcome for every one of today’s automobile manufacturers. Electric cars pollute less, have fewer moving parts, and are quieter and faster than existing cars. Today, the technology necessary (affordable batteries with sufficient range) for them to be a viable business have all just come together. Most observers agree that autonomous electric cars will be the dominate form of transportation by mid-century. That’s bad news for existing car companies. 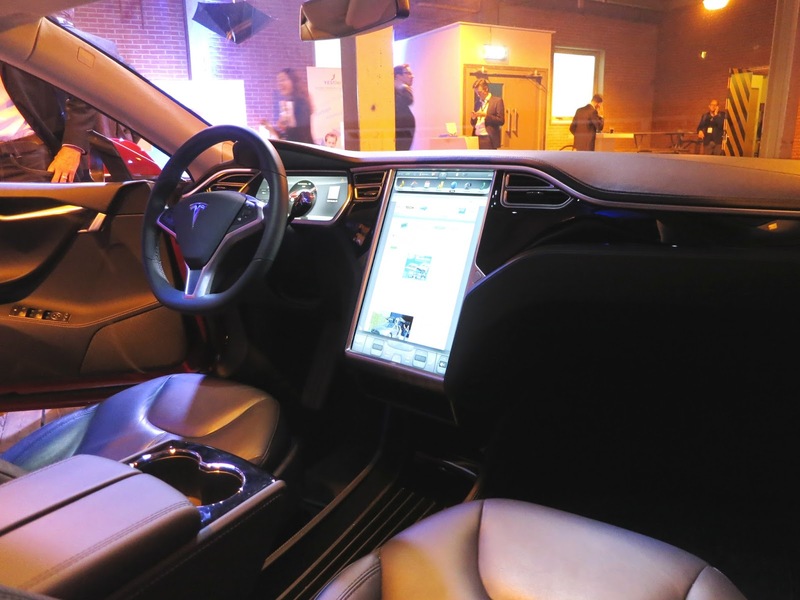 Tesla is a new form of transportation disrupting the incumbents. 1.Car companies have over a century of expertise in designing and building efficient mechanical propulsion systems — internal combustion engines for motive power and transmissions to drive the wheels. If existing car manufacturers want to build electric vehicles, all those design skills and most of the supply chain and manufacturing expertise are useless. And not only useless but they become this legacy of capital equipment and headcount that is now a burden to a company. In a few years, the only thing useful in existing factories building traditional cars will be the walls and roof. 2. While the automotive industry might be 1000 times larger than Tesla, Tesla may actually have more expertise and dollars committed to the electric car ecosystem than any legacy car company. Tesla’s investment in Lithium/Ion battery factory, the Gigafactory, boasts electric drive train design and manufacturing output that will exceed the sum of the entire automotive industry. Level 5: No human intervention is required. For example, a robotic taxi. Each level of autonomy requires an exponential amount of software engineering design and innovation. While cars have had an ever-increasing amount of software content, the next generation of transportation are literally computers on wheels. Much like in electric vehicle drive trains, autonomy and connectivity are not core competencies of existing car companies. 4. Large, existing companies are executing a known business model and have built processes, procedures, and key performance indicators to measure progress to a known set of goals. But when technology disruption happens (electric drive trains, autonomous vehicles, etc.) changing a business model is extremely difficult. Very few companies manage to make the transition from one business model to another. Of course, while Tesla might be the first mover in disrupting transportation there is no guarantee they will be the ultimate leader. However, the question shouldn’t be why Tesla has such a high valuation. The question should be why the existing automobile companies aren’t valued like horse and buggy companies. Few market leaders in an industry being disrupted make the transition to the new industry. The assets, expertise, and mindset that made them leaders in the past are usually the baggage that prevents them from seeing the future.